Read (or watch) the story and answer the questions. Once upon a time there was a king and queen who lived in a golden castle with their beautiful daughter. One night an ugly ogre captured the beautiful princess and locked her up in his tall, dark tower. “Help me!” “Roar!” The king and queen were very sad. They promised to give a bag of gold to the knight that rescued the princess. “Please save our princess!” “We’ll save the princess!” All the knights in the land wanted to rescue the princess. They rode to the tower as fast as they could. “Help me!” “Roar!” The ugly ogre roared with anger when he saw the knights. His roar was so scary that they rode away as fast as they could. One day a friendly dragon was flying over the ogre’s tower when he heard the princess cry for help. “Help me!” The dragon flew down to the tower, took a big fiery breath and blew the ogre far away over the mountains and into the ocean. “Come with me princess, don’t be scared!” “Thank you for saving me.” “My pleasure, princess.” The dragon rescued the princess from the tower and gently put her on his strong back. They flew high in the sky. They flew over the tower and the castle, over the mountains and caves, and out towards the deep blue ocean. Once upon a time there was a king, a queen and a prince. A The ugly ogre married the princess. B The ugly ogre caught the princess and kept her in his tower. C The ugly ogre saved the princess. The knights didn't succeed to save the princess because they were scared. Who rescued the princess? How? This is a picture of an ogre. Write the correct form of the verbs given. 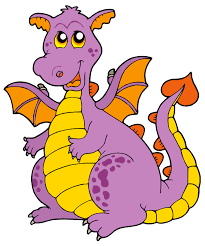 The dragon ____________ (rescue) the princess from the tower and they __________ (fly) away. "Gently" and "high" are adverbs. How are their adjectives formed? 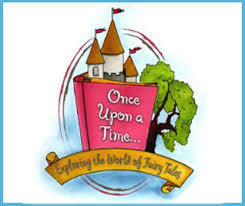 Write your own fairy tale in less than 200 words.Who is your favourite fairy tale hero? Is it a mythical creature or a superhero? What does he/she look like and what can he/she do? Write a story with your favourite hero as the protagonist. Try to make it interesting and give an unusual ending.